We love to travel. My husband and I have camped in 49 of the 50 states with our four children. Since we survived that and enjoyed it, I am calling myself a travel/parenting expert! Travel is so wonderful because it itself provides the entertainment. I suppose we all get bored at times but fortunately while traveling the scenery is almost always changing: the clouds, the cars you pass with their weird bumper stickers (I’m not speeding: I’m qualifying” from near Minneapolis,MN), the topography, the animals you can see. I say the scenery is almost always changing because there are a lot of corn fields in the midwest! It became a joke with us: What do you see? Corn!! Some interstates offer more or less interesting scenery. I encouraged our children to draw as we drove. We sang songs. We made up songs. We wrote travel songs. We listened to audio books, and I read books out loud. During our trips over the years we read all the Louis L’Amour westerns out loud. On one trip we read books about the Great Depression such as “We Had Everything but Money.” That book gave the children a new appreciation for the things we had. Did we always entertain them? No, there was an expectation of being able to amuse themselves independently as well. Top tip for travel with kids: Have 20 easily sealable plastic bags prepared for the trip. Each bag should have a busy activity inside that is age appropriate for your children. These bags can include ribbons to tie around miniature hats and dolls, invisible ink books, word find pages, intricate dot to dot pages, colored pencils and hidden pictures, etc. Trade out bags with children regularly, sometimes whether they are “ready” for a trade or not. Have plenty of sketch paper, pencils and erasers available for each child and have an assignment like: Who can draw the best Montana sky for me today? Who can draw the strangest animal? Who can draw a logo for a lawn care business? Who can design and draw the perfect campground bathroom and showerhouse? (Yes, we really did that one.) Your travel will give you ideas for creative starters for these projects. Also, have plenty of snacks. There is nothing worse than a “hangry” toddler (or adult traveler for that matter.). Note: Bananas are NOT a good snack for travel in the car if you have little children. And yes, I learned that the hard way. Don’t judge! I recommend granola bars, string cheese, gel fruit cups (depending on the age of the child), squeeze yogurt or applesauce, peanuts or mixed nuts as able, beef jerky or beef sticks. We carry plastic spoons, paper bowls, paper cups, napkins, and paper towels with us. And of course, the ever-present peanut butter and jelly sandwich kept us going, too. I had a flexible plastic cutting board that would be my makeshift countertop across my lap for making sandwiches while we drove. After all, when you travel, some days are mileage days and some days are sightseeing days. Our children very much enjoyed helping plan our trips. One daughter would scour back issues of travel magazines for scenic byways, another would try to pick unique restaurants and locations that would coincide with our travels. Our son liked to find caves for us to tour. The children did the research for places to visit as they were able. This saved me time, got them excited about the trip and has led us to some interesting destinations. After all, it is exciting to eat in a teepee used in the movie “Dances with Wolves,” or try a hamburger that was featured on a food show. “I’m bored” was not allowed. Each child had a copy of the Rand McNally Children’s atlas which also contained travel activities. They have a great song that we learned called, “Are we there yet?” Usually we were treated to a bellowing rendition of this at least once a day. Bonus Travel Tip: Anticipate a bad half-hour! Anticipate that there is going to be a bad half-hour sometime during the day when no travel tips or tricks seem to work. There will be complaining and crying. You are traveling with people in a small space and there are bound to be those moments. When and if it happens, you won’t be caught off guard. After all, you are undertaking a huge project traveling with children. There are reasons that many people do not attempt this. My one friend predicted that we would be back within the week when I was telling her of our trip to California with three children 6, 4, and 1. We were actually gone 5 weeks, from upstate New York to California and back. We drove about 6,000 miles pulling our little pop-up. The smallest child was put to bed in a playpen that we set on top of the table. We got to see Mt. Rushmore, Devil’s Tower, Yellowstone, and the giant redwoods at Jedediah State Forest in northern California. When we travel of course things went wrong! Don’t wait till your kids are bigger. Don’t wait till they are the right age. Enjoy the adventure with them starting when they are young and while you are young, too. 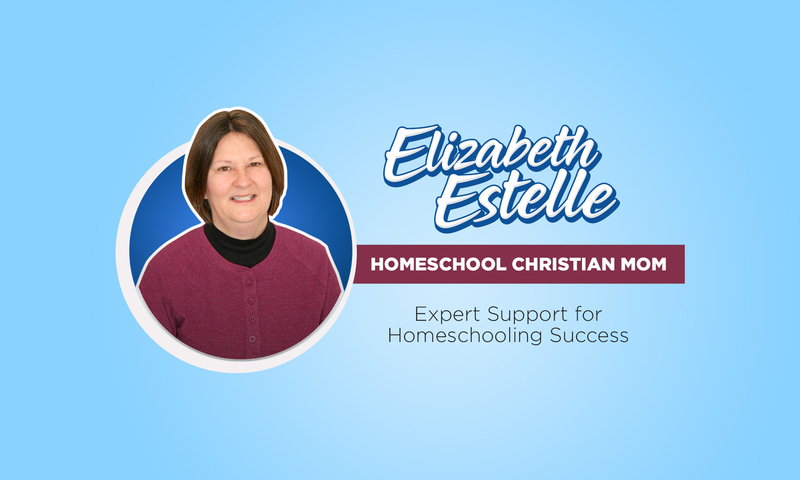 Thanks and happy traveling from Elizabeth Estelle and the Homeschool Christian Mom team. Please subscribe and share my page with others. Thanks! Thanks! I appreciated the tips. We’re flying to France this summer from southern California with a 2yr and 6month old and I’m going to have to apply myself to come up with small activities for the oldest. Thank you for your nice comment! Happy traveling!